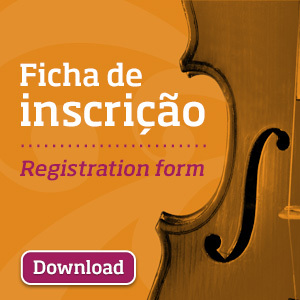 After consideration of the various applications, and as provided by general rules, the groups that will participate in the next edition of the International Chamber Music Competition “Cidade of Alcobaça (CIMCA), an event that will be held from November 19th to 24th at Cine-Teatro de Alcobaça – João d’Oliva Monteiro, are already defined. Among the participants (see list below), we have mostly groups and musicians coming from Portugal, Spain, Ireland, United Kingdom, Finland and Japan, accounting 13 groups in the competition and having the presence of more than 40 musicians, divided between the two categories (Junior and Senior). The official list of the ensembles admitted to the competition is well established from today, November 4th, and all candidates will receive a diploma, so as the winners that will receive a certificate stating the prize awarded. This is a project that also tries to fill a national gap referring to events that reward the merit of musicians and national groups as well foreigners who see our country as an opportunity to launch their career, celebrating on the other hand the talent creativity and ability of young musicians.